Can a face be stolen? Aya Shalkar, a model and Instagram influencer from Kazakhstan, certainly seems to think so. 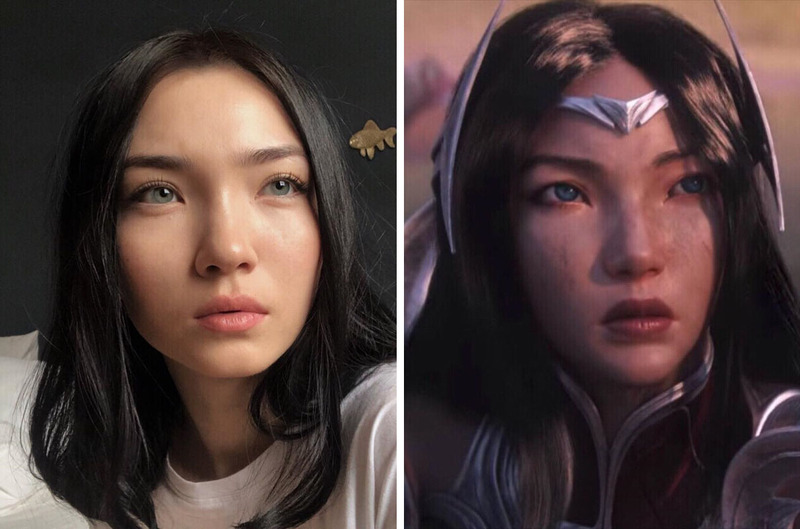 When U.S. software company Riot Games released a promotional music video on January 21 to generate buzz ahead of an online gaming competition, internet users in Kazakhstan spotted an unerring similarity between Shalkar and a character in the League of Legends game. The Riot Games video, which was set to a song called Awaken, ratcheted up 20 million views within five days of its release. In the clip, one hero, Irelia, a distinctively blue-eyed, blade-wielding warrior figure, is shown leading the defensive charge as a village is assaulted by a horde of ogres. Shalkar too is blue-eyed — a rarity in Kazakhstan, although some historians claim ancient Kazakhs typically had blue eyes. This and other commonalities led League of Legends fans to bombard Shalkar’s Instagram account with comments. The model promptly sought out professional legal advice. “I understand the concept of ‘inspiration.’ I do, however, feel the need to defend my identity in certain cases, especially when it has happened without my consent,” Shalkar, a student of graphic design, wrote on her Instagram account. To be sure, the social media influencer asked her 623,000 followers to comment on whether they thought the resemblance was mere coincidence or whether the character did indeed share her features. Shalkar said she had not collaborated with the video game developers on the design of Irelia’s facial features. Although Shalkar drew a lot of support, some saw fit to leave insulting and racist remarks. “All Asians look the same,” read one comment written in Portuguese. Shalkar’s base of followers extends beyond Kazakhstan, so the likelihood of her having caught the attention of U.S. software developers is very real. If Shalkar were to pursue litigation, precedent is on her side. 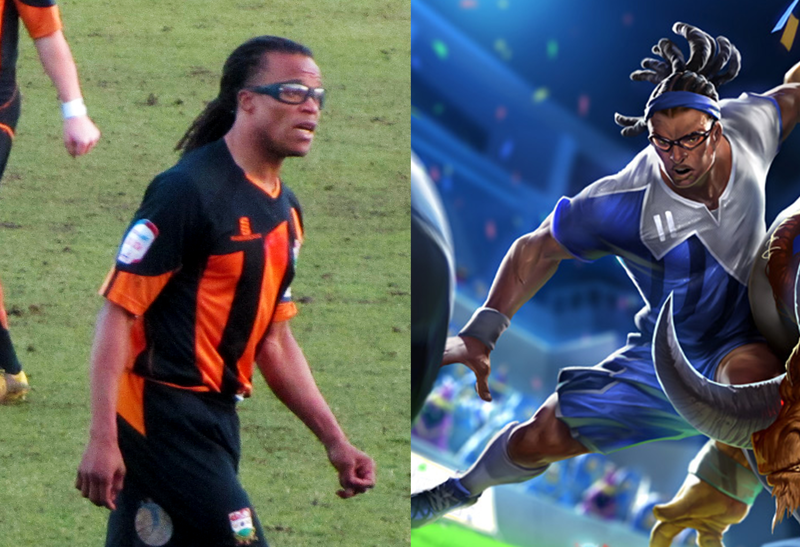 In 2017, retired Dutch soccer star Edgar Davids successfully sued Riot Games in a court in the Netherlands for basing League of Legends character Strike Lucean on his appearance without authorization. Like Davids, Strike Lucean was black, had a ponytail and wore trademark tinted wraparound tinted glasses. And he was a soccer player. League of Legends is a huge global sensation and boasts around 100 million players who log on daily. Eurasianet sought comments from Shalkar and Riot Games prior to publishing this article, but neither responded.